The 6- and 8-foot Minn Kota Talon anchors quickly became a favorite among shallow water anglers when they were introduced two years ago. The sturdy construction and all electric operation provided a quick, quiet and dependable way to stop and fish in shallow water. For many this was all that was needed, but others wanted more. 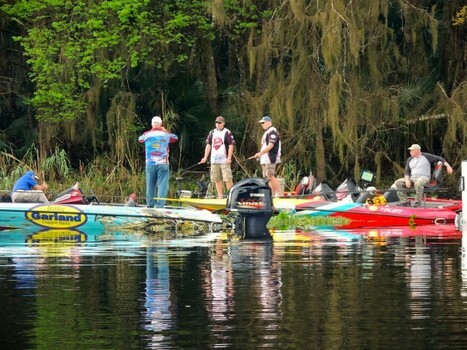 A group of outdoor writers, pro crappie anglers and fishing industry reps came together February 1st through the 3rd at Hontoon Landing Resort and Marina on Hontoon Island, FL to take part in Whitey Outlaw's 2014 St. Johns River Writer's Camp. Outdoor writers from several states, pro anglers from as far away as Indiana and industry reps from as far away as Minnesota, came to participate in the event that focused on crappie fishing. There's a very good reason to head to Florida this winter and it's not just to escape the cold, snow and ice. 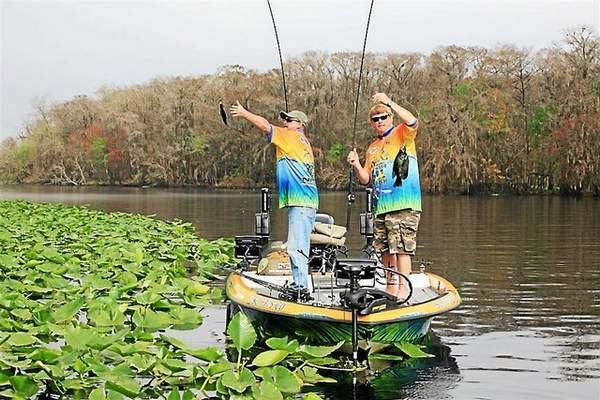 Florida — as just about every sportsman knows — has excellent fishing at this time of year. From its inland lakes to its salted seas, anglers can pursue so many species it would take a few paragraphs to name them all. 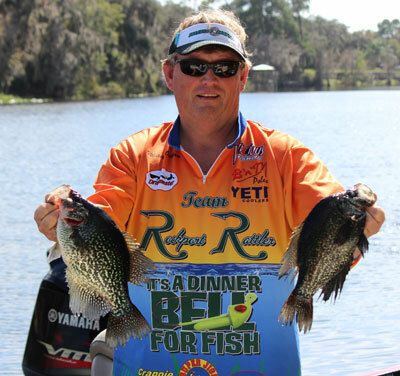 But one fish that may not make it on the list, or get a high ranking, is the estimable crappie — pronounced "crop-ee" in southern states and often called a "spec" in the Sunshine State. In Florida's hundreds of natural and enhanced lakes and through the state's long river systems, the crop-ee is as plentiful as other species and grows to sizes not often seen in these parts. 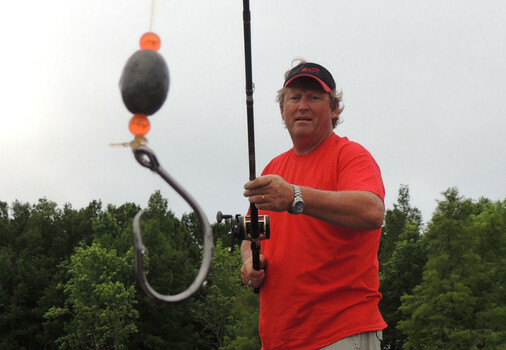 Whitey Outlaw is well known for his pro crappie fishing adventures, but he also knows something about catfish. 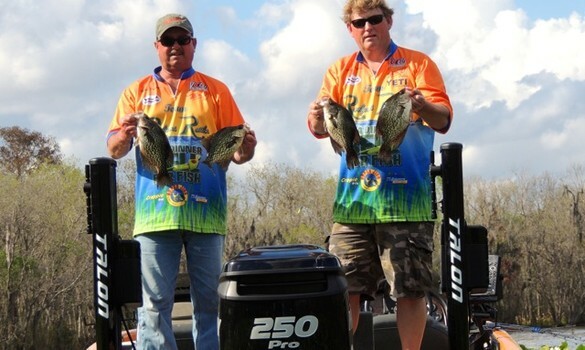 He is a consistent competitor on the Bass Pro Shops Crappie Masters tournament trail. Occasionally catfish will show up unexpectedly while pushing spider rigs for crappie or jigging around the pads, but when he gets serious, and wants to put catfish in the boat, he pulls out his favorite equipment and bait.